A woman haunted by a mysterious upside-down door. A meeting between a famous punk rocker and a voodoo priestess. A group of friends who willingly place themselves in the path of bullets that travel through time . 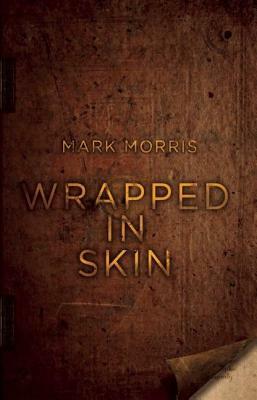 . .
Mark Morris's stories are wrapped in strange skin. Skin suffused with regret and grief and anger. Skin that twitches with bad dreams and appalling memories. Skin that is so thin it is unable to prevent the terrors of the past from breaking through. Mark Morris became a full-time writer in 1988 on the Enterprise Allowance Scheme, and a year later saw the release of his first novel, Toady. He has since published a further sixteen novels, among which are Stitch, The Immaculate, The Secret of Anatomy, Fiddleback, The Deluge and four books in the popular Doctor Who range. His short stories, novellas, articles and reviews have appeared in a wide variety of anthologies and magazines, and he is editor of the highly-acclaimed Cinema Macabre, a book of fifty horror movie essays by genre luminaries, for which he won the 2007 British Fantasy Award. His most recently published or forthcoming work includes a novella entitled It Sustains for Earthling Publications, a Torchwood novel entitled Bay of the Dead, several Doctor Who audios for Big Finish Productions, a follow-up volume to Cinema Macabre entitled Cinema Futura and a new short story collection, Long Shadows, Nightmare Light.